ASEA, a global leader in cellular health, announced the launch of a new skincare line, RENU Advanced. 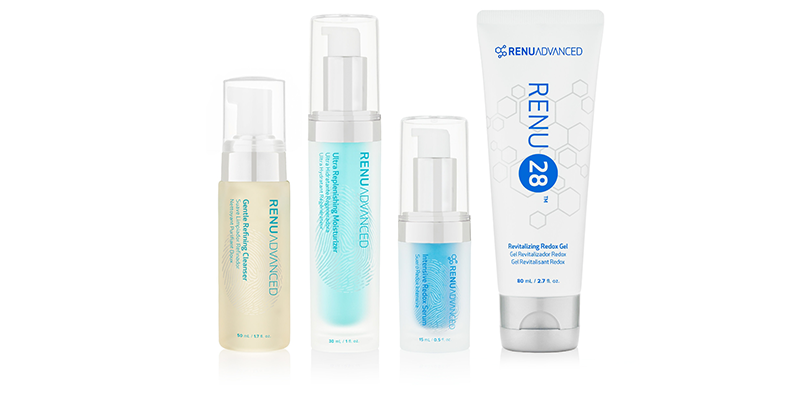 With four products bundled as a skincare system, RENU Advanced is formulated for anti-aging and is based on ASEA’s flagship technology of redox signaling. ASEA is the first and only company to replicate the body’s native redox signaling molecules, which support cellular functions including skin cell turnover. A recognized category creator, ASEA is the first company to market this patented technology in consumable and topical products to customers worldwide. “RENU Advanced is a redox signaling skincare line that significantly improves aging or damaged skin. It nourishes the skin at the cellular level by improving skin cell function, communication and renewal,” said Karen Stolman, M.D. “RENU Advanced provides clinical results without burning, peeling or irritating skin like many other anti-aging treatments. As a dermatologist, I’m excited about providing this as an option to my patients.”Two of the four RENU Advanced products—RENU 28 Revitalizing Redox Gel and Intensive Redox Serum—utilize ASEA’s redox signaling technology for topical application. RENU 28 is a whole-body skin therapy that supports healthy cell renewal and revitalizes skin. 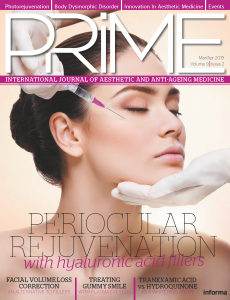 The serum is an ultra-concentrated anti-aging skin therapy designed to target specific areas of concern.The other two RENU Advanced products that round out the line are a cleanser and a moisturizer. The Gentle Refining Cleanser prepares the skin for the two redox signaling products, gently washing away dirt, oil and impurities while leaving the skin toned. The Ultra Replenishing Moisturizer completes the regimen, delivering deep hydration and anti-aging actives.RENU Advanced has been clinically tested and shown to control oil, increase skin moisture and improve wrinkle depth, smoothness and elasticity. Each product in the RENU Advanced family has received the highest possible five-star accreditation for safety by leading European dermatological research institute, Dermatest. RENU Advanced is available to purchase through independent ASEA associates as well as online. For more information visit: www.renuadvanced.info. Redox signaling molecules, vital to sustaining life, are naturally occurring and are created to support crucial immune system functioning and cellular healing. ASEA is the first and only company to replicate redox signaling molecules in a sustainable form outside of the body and include them in first-to-market products that help support and replenish cellular healing and replenishment. Based in Utah, ASEA LLC is privately held and its proprietary products and business opportunity are marketed to consumers via a global network of independent distributors. ASEA is a recognized category creator as the first company to market its patented redox signaling molecule technology in consumable and topical products to customers worldwide. Dermatest® was founded in 1978 by Dr. med. Werner Voss, a specialist in dermatology, venereology and allergology. The company has grown steadily over the years, employing highly qualified scientists who are experts in the field of dermatology, thus providing excellent service and generating exceptionally reliable results. For more than 35 years, Dermatest® has offered an extensive portfolio of standard and individual test designs to assess the safety and efficacy of cosmetic products for the cosmetic and pharmaceutical industry. As a company, Dermatest offers specialized solutions and test designs for dermatological, allergological and cosmetic research under dermatological supervision. This guarantees maximum safety for sponsors, customers and test volunteers. The ‘Original Dermatest®’ seal stands as a guarantee for the reproducibility of test methods. Additionally, it provides reassurance for consumers and manufacturers. Dermatest has developed its own quality management system, which has been accredited by the independent German Rhineland TÜV technical inspectorate, TÜV Rheinland, whose role it is to set standards.